The seller is based in United States. besthatmaker currently is one of the TOP 100,000 eBay USA sellers. besthatmaker is a store that belongs to . The store stocks more than a few hundred products . All of them are assigned to Clothing, Shoes & Accessories and Home & Garden categories. The average price of the seller products vary about $15. All available products can be found here. Due to last month reviews besthatmaker was ranked in the 60,453rd position. Looking at the whole year data, they were doing better and were placed in the 49,997th. Sellers similar to besthatmaker: fillermetalqueen, womens-shoes. 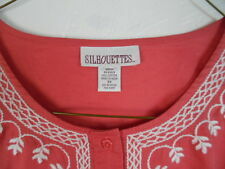 Silhouettes Boho Pink 100% Cotton Embroidered Women's Top 3X .. Bust 60"
Laura Ashley Black Gold Jacquard Floral Long Women's Dress 8 .. Bust 38"
Tommy Hilfiger tommy girl Cotton Knit Blue Striped Women's Dress L .. Bust 42"
Woman With-in Blue Polka Dot Long Sleeve Cotton Blend Women's Top 3X .. Bust 65"
Ralph Lauren Coral Pink Cotton Knit 3/4 Sleeve Women's Top 1X .. Bust 50"
Custo Barcelona 100% Cotton Knit Long Sleeve Women's Top L .. Bust 42"
SoulMates Lacy Black Silk Elegant Long Sleeveless Women's Dress 2X .. 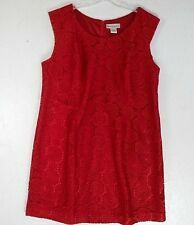 Bust 52"
Red Lace "Seventh Avenue" Sheath Womens Mid-calf Dress 2X .... Bust 51"
AA Studio Black White Floral Jersey Knit 3/4 Slve Women's Dress 18W Bust 48"
Foxcroft Blue Pink Stretch Fitted Plaid 3/4 Sleeve Women's Top 14 P .. Bust 46"
Great ! I am very pleased. Thank You and good luck !